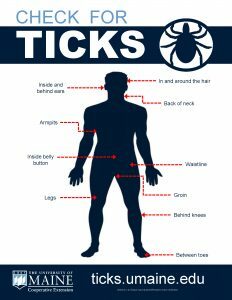 When returning from outdoors, be sure to thoroughly check yourself and your children for ticks. 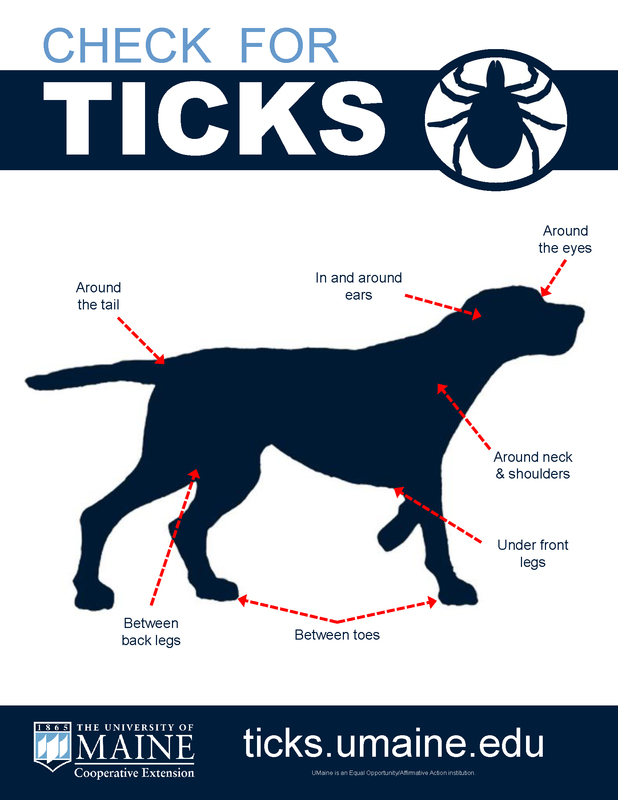 Conduct a full body check while focusing on parts of the body where ticks are most likely to attach. Remove clothing, preferably in a bathroom or somewhere with a mirror, and begin looking for ticks. Parents should carefully inspect children. Showering within two hours of returning indoors may help remove unattached ticks and provides the opportunity to fully check the entire body. 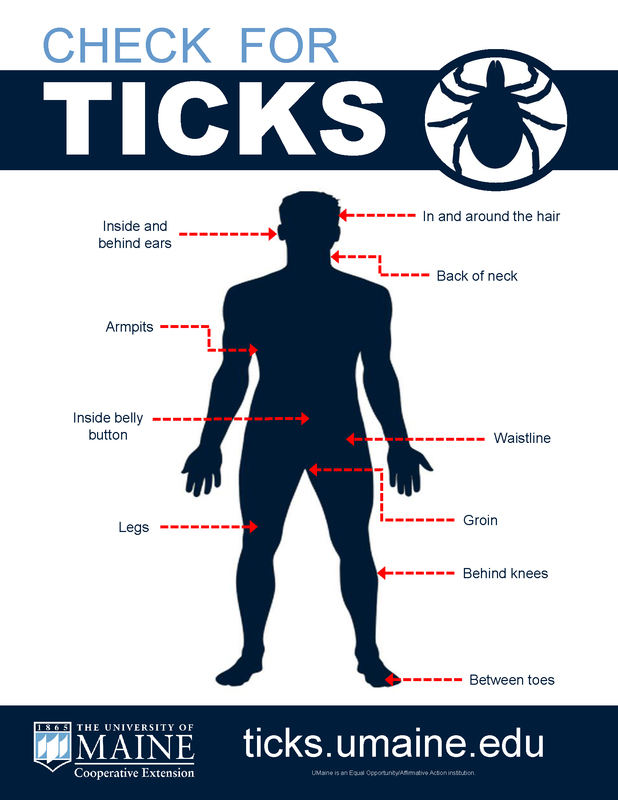 Ticks may be found anywhere on the body, particularly under the arms, behind the knees, between the legs, in and around the ears, in the belly button, and in the hair. Use your hands to feel for small bumps, especially in areas you cannot see. Look for tiny brown/black spots and remember that the size of ticks can vary depending on life stage and feeding status. Carefully remove any ticks you may find (See Tick Removal for instructions). Tumble clothing in a dryer on high heat for 10-20 minutes to kill any ticks that may be attached. Check your pets for ticks frequently, especially after they spend time outdoors. Run your fingers through their fur to feel for any small bumps. Inspect pets thoroughly, particularly around the eyes and ears, between front and back legs, between toes, around the tail, and around the neck and shoulders. To protect pets from ticks, consult a veterinarian about effective options for controlling ticks on dogs and cats (See Pet Protection for more information).